San Jose, California, January 7, 2016	(Newswire.com) - CloudFirst Technology Solutions Inc., announced today a partnership with the North State Building Industry Association to deliver a series of technology webinars in 2016 geared toward helping building industry executives understand the benefits of cloud based infrastructure and services. 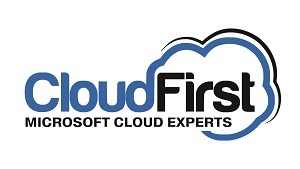 CloudFirst is a premier partner of the Microsoft Community Connections Team and has deep expertise that will greatly empower building executives to be more effective through technology. CIO Magazine reported last month that the majority of tech executives in organizations plan to foster a cloud-first strategy for enterprise in 2016 (according to a new survey from Bitglass.). The survey was conducted with 92 CIOs and IT leaders at the Gartner Symposium ITxpo in November of 2015, and the findings were released last month. It was clear many respondents reported cost savings in 2015 as a result of using cloud-based SaaS applications, such as Microsoft's Office 365. Through its partnership with the North State BIA, CloudFirst hopes to assist builders to achieve similar benefits. The technology webinars are scheduled each month though out 2016, and will be open to both members and non-member of the North State BIA. At CloudFirst, we deliver cloud solutions that help our customers improve business processes, increase productivity and exceed their competition.